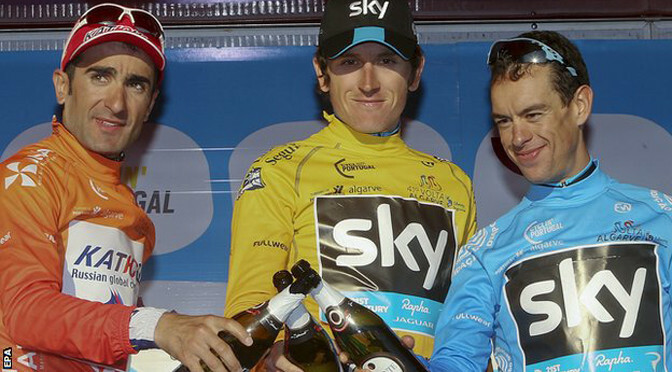 Team Sky’s Geraint Thomas has won the five-stage Volta ao Algarve for his fourth career stage-race victory. The Welshman held a 27-second lead going into the final stage – won by German Andre Greipel – and stayed out of trouble to secure overall victory. The 28-year-old’s victory came on the same day that Team Sky’s Chris Froome won the Ruta del Sol in Spain. Thomas’s only other stage-race wins had been in the Bayern-Rundfahrt, which he won in both 2011 and 2014 and the Fleche du Sud in 2006. He added: “You look at the previous winners and there are a lot of strong guys there. There’s a lot of strong teams here too. 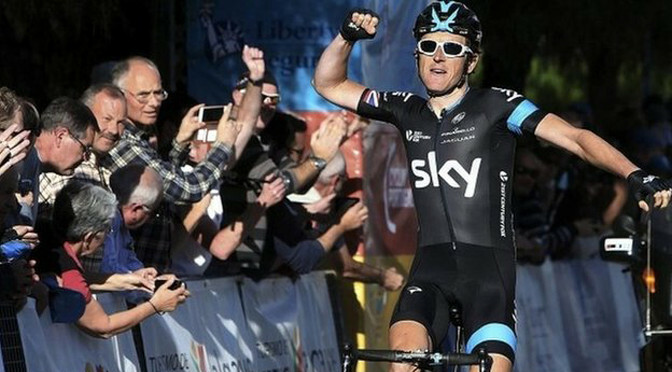 Britain’s Geraint Thomas broke away to victory in stage two of the Tour of the Algarve and took the overall race leader’s yellow jersey. Team Sky rider Thomas won the 197km run from Lagoa to Monchique by 19 seconds from Estonia’s Rein Taaramae, with Valerio Agnoli of Italy third. The Welshman has a 30-second lead overall, with Taaramae second and Czech Zdenek Stybar third at 33 seconds. Friday’s third stage is a 19km individual time-trial. The cyclists will ride from Vila do Bispo to Cabo de Sao Vicente in Sagres. 3. Valerio Agnoli (ITA) 23.